This is the fourth in a series of stories examining the origins and history of notable and unusual place names along the North Carolina coast. ONSLOW COUNTY – Many people in North Carolina may think “Marines” when they think of Onslow County. And perhaps there was foreshadowing of the mid-century arrivals of Camp Davis Marine Corps Outlying Field and Marine Corps Base Camp Lejeune, even in the earliest days of the county. 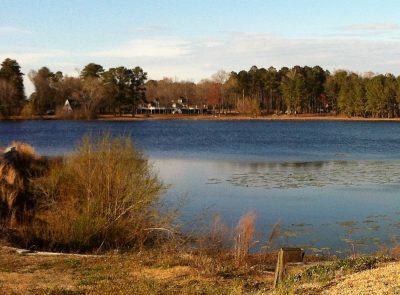 This area north of Pender County and south of Carteret was named in honor of Sir Arthur Onslow, who was a speaker of the British House of Commons in 1734, when the county was established, and was known for his long service and integrity. “The Onslow family motto was Semper fidelis,” said Lisa Whitman-Grice, director of the Onslow County Museum in Richlands. The phrase, which mean ‘always faithful’ was taken as the Marine Corps motto in 1883. “This was long before the Marine history in Onslow,” Whitman-Grice said. She also likes to point out that Marine was the name of some of the early settlers here and there was once a town called Marines, when maritime industry and agriculture fueled the economy before the arrival of the military. With that in mind, here is the fourth in the series of stories, speculation and historical theories about local place names. This mineral spring, which was listed on the National Register of Historic Places in 1990, is near Catherine Lake. “The spring isn’t alum, but it is a mineral spring,” Whitman-Grice said. As a result, it was often prized for its healthful and healing properties, especially from the mid-1800s to the 1930s. It was described as a boldly flowing sulfur spring on a small slope. The area was also home to a poorhouse after the Civil War and the people there started throwing summer picnics. Even when the poorhouse moved, the tradition continued. 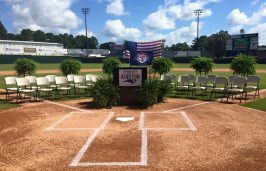 The gatherings drew people from other nearby communities in southeastern North Carolina and sometimes from neighboring states. It’s estimated that crowds numbered at a few hundred people. At the time, the site had a shelter over the stream source, cribwork for a series of pools, a dancing platform and dressing rooms. This site is a good example about how the military has shaped the county. This spot on the banks of the New River, was once called Mount Pleasant Point and named for a pre-Revolutionary plantation. Now, it’s known for the Montford Point Marines. This was one of the first training bases for black Marines, established in 1942 when segregation policies required African-Americans to live and train separately. In 1974, it was renamed Camp Johnson in honor of Gilbert “Hashmark” Johnson, a retired Marine Corps sergeant major. 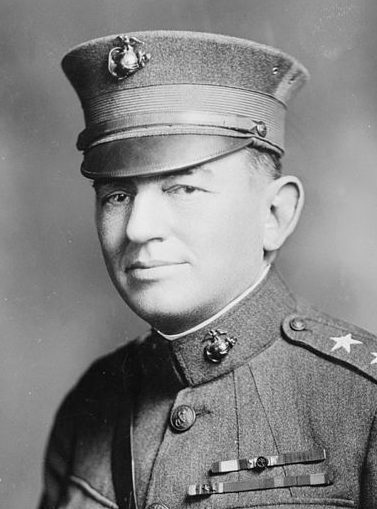 Johnson was one of the first African-Americans to join the Marines. He served as a drill instructor at Montford Point as was a veteran of World War II and the Korean War. “It’s really one of the few military monuments to be named for an African-American,” Whitman-Grice said. The Montford Point Marine Museum is currently housed in the chow hall the Montford Point Marines used during the 1940s. Before Jacksonville was the county seat, the Onslow government was situated in a town called Johnston, named for Gabriel Johnston, North Carolina’s Colonial governor from 1734 to 1752. The hurricane destroyed the courthouse and much of the town, and many residents left. After the evacuation of Johnston, city leaders moved the county seat to a more central location known as Wantland’s Ferry and named for James Wantland, a landowner, innkeeper and ferry operator. It would be renamed Jacksonville and incorporated in 1842. Courthouse Bay, now part of Camp Lejeune, is a reminder of the early history, Whitman-Grice said. The ecological meaning of the word refers to a stand of trees that contrast with the surrounding ecosystem. In coastal hammocks, the stands are usually narrow forest bands behind scrubby sand dunes or on barrier islands, which is in keeping with the location of Hammocks Beach State Park in Swansboro. The land at the park was once owned by Dr. William Sharpe, said Patricia Hughey, author of books about Onslow County. Sharpe, a New York neurosurgeon, started visiting the county in the early 1900s, bought 4,600 acres here and eventually entrusted care of the property to John Hurst, a local African-American naturalist and guide and son of a slave. Hurst convinced Sharpe to donate the land to the North Carolina Teachers Association, an organization of African-American teachers. The property was envisioned as a resort for black beachgoers during segregation. In 1961, the association gave the land to the state for a park for minorities. 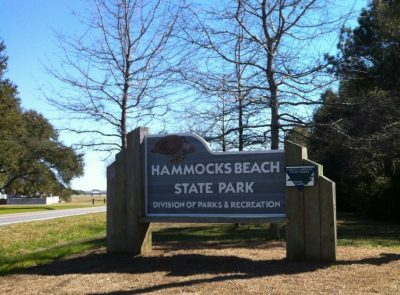 Hammocks Beach State Park opened for all following the Civil Rights Act of 1964. It may come as no surprise that the name for this town comes from its productive soil. The Rich Lands was also the name of a vast naval stores plantation. “We’re pretty insistent on pronouncing the two names,” Whitman-Grice said. Many place names get shortened or slurred, but in this case, there is a distinct beat between the two syllables when locals say it. John Avirett owned the property and produced turpentine, tar, pitch and other products from the longleaf pine forest on the site’s 20,000 or so acres. 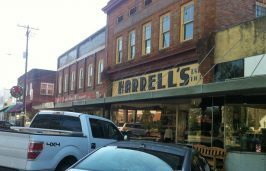 This influential property and associated industry are reflected in other names in the area. “Tar Landing is one spot on the river, which was as far as the boats could travel and the tar was brought to them to export,” Jones said. The town still celebrates its agricultural roots with an annual Farmer’s Day celebration on the first Saturday after Labor Day. 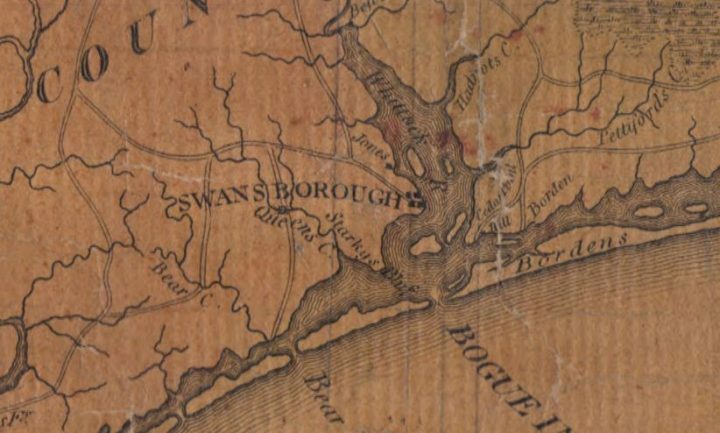 A detail from a map by Jonathan Price, First Survey of North Carolina, 1798. Or, if you go by earlier maps, it’s called Swannsborough. This town was established in the mid-1700s on the site of an Algonquin village and was officially named in honor Samuel Swann, former speaker of the North Carolina House of Commons, in 1783. Shipbuilding became the major industry for the town. One of its claims to fame is the completion of one of the first steamboats built in North Carolina. Capt. 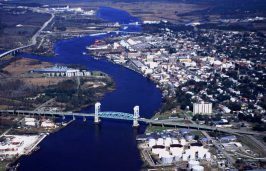 Otway Burns, a prominent shipbuilder in the community, was responsible for the Prometheus, which traveled along Cape Fear River to Wilmington and what is now Southport – and is said to have once had President James Monroe as a passenger. There often seems to be more than one version of good stories. The accounts below come from interviews with local history buffs, as well as local history references. Bachelor’s Delight Swamp: This waterway that flows into the New River is one people like to speculate about. “They say, ‘Oh, there must be a lot of pretty girls,” Whitman-Grice said. In this case, Bachelor is a family name and not a marital state. 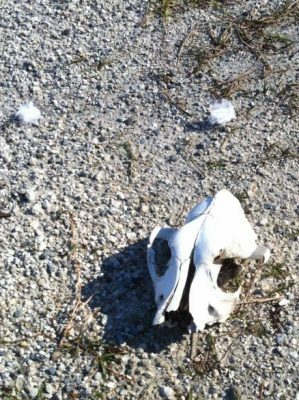 Bear Island: This name for a 3-mile-long island that’s now part of Hammocks Beach State Park is most likely from a misspelling and not related to the animal, Whitman-Grice said, adding that it’s apparently a variation of “bare” or short for barrier island. Bell Swamp: The name for this swamp comes from one of the county’s early settlers, George Bell, who owned land here as early as 1713. Beulaville Highway: Although the town of Beulaville is in Duplin County, this road runs through Onslow County. The town was once called Snatchette, and perhaps a reflection of a rowdy past. Ida Sandlin, the town’s postmistress, renamed it after the Beulah Baptist Church. Comfort Road: This road leads to the town of Comfort in Jones County. “The name comes from a visit from George Washington, when he stayed with the Shine family in 1791,” Jones said. Frenchs Creek: Or, as it’s known on some 1700s maps, Frenchmans Creek. It’s most likely named for French native Alexander Nicola, who settled across from Rhodes Point, where the creek, which rises in southeast Onslow County, meets the New River in the northwest part of the county. Hadnot Point: This point that juts into the river on the Marine base is named for Charles Hadnot, an early settler. Half Moon Creek: “This is one of those creeks named for its shape,” Whitman-Grice said. And its name is an early one in the county, appearing on maps in 1744. Part of the curve was straightened, though, in the 1960s as part of a flood-mitigation project. Hawkins Bay: The Hawkins surname appears on several Onslow landmarks, including this bay, an island and a slough. They’re usually credited to Bazel Hawkins. Dees-Killett said that members of the Hawkins family, including Bazel’s heir Catherine who ran a boarding house in the 1850s, were important to Swansboro-area history. Hell Pocosin and Purgatory Pocosin: Pocosins are upland bogs and wetlands that aren’t always the most hospitable to humans. “These names really do describe that,” Jones said. Hell Pocosin is the Richlands area. 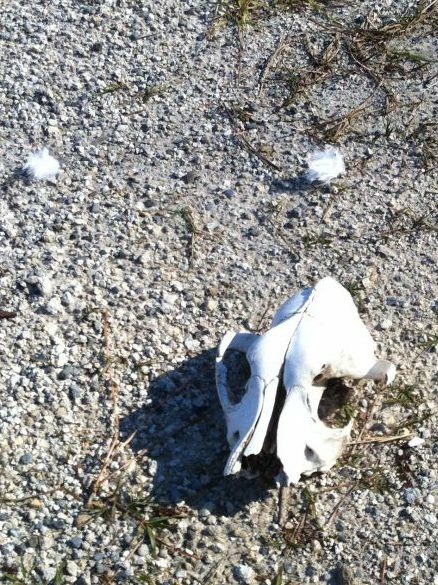 Purgatory Pocosin is near Camp Davis. 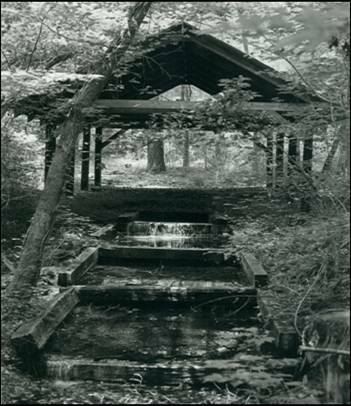 Hofmann Forest: This site, established in 1934 by the North Carolina Forestry Foundation, is named for Julius V. Hofmann, who established the forestry program at North Carolina State College in 1929. Holly Ridge: Named for a slight rise where native hollies grew, this was a fuel stop on the railway before the town was incorporated in 1941 with the growth of the military presence. Huggins Island: Although this island that’s also part of Hammocks Beach State park was first called Stones Island on 1700s maps, it was renamed for Luke Huggins. Confederate forces built a six-gun fort there in 1861 and occupied it from January-March 1862. Union forces destroyed the fort in 1863 but earthworks remain. Jacksonville: At one point, the town was called Wantland’s Ferry, for James Wantland, Jones said. And there was an effort to call it Cedarville for the native trees. But instead a push to name the town in honor of President Andrew Jackson succeeded. 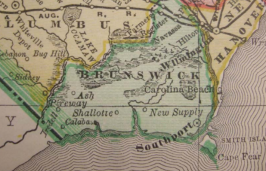 Kellumtown: When the military base came to Onslow County, many residents were displaced, and received inadequate payment to buy some comparable land elsewhere. Several black farmers bought land from William Kellum and established a community here. Lake Catherine: Or Catherine Lake, depending on the source. This one has a few stories. Perhaps it reflects a family name, or is named after a lake in Scotland as a tribute to the Avirett family heritage. But there’s a more colorful version, too. Jones said that the story goes that John Avirett built a house for a teacher named Catherine Cole, whom he hoped to marry. “She didn’t and moved back to New Bern,” he said. Ocean City Beach: Edgar Yow, an attorney and mayor of Wilmington, purchased beachfront property on Topsail Island that was a vacation destination for the black community. Paradise Point: The story goes that there were daughters who lived here that were known for their beauty and charm. But Whitman-Grice said the name instead reflects the natural beauty of the area. Piney Green: This community name taken from the 18th century plantation of Joseph Marshall. Permuda Island is protected as part the North Carolina Coastal Reserve and National Estuarine Research Reserve. Pumpkin Center: This one had most people we asked stumped. Billy Humphries, who was born in 1934 and lives in the area. believes his aunt may have named it, but he’s not sure – and he doesn’t know the reason for the name. Snead’s Ferry: Edmund Ennett operated a ferry at this spot in 1725, but Robert Snead settled here around 1760 to operate a ferry and a tavern. He was a controversial figure who is said to have killed Revolutionary War hero George Mitchell in 1791. It’s also said that he was pardoned for the crime because of his political connections. Stone Bay: Although this could easily be a name with a natural connotation, it’s said to come from an early Onslow County surveyor, William Stone. Stump Sound: “This one represents the area’s natural history,” Whitman-Grice said, in this case, the stumps from the maritime forests. Verona: The inspiration for this town that was established in the late 1800s is Vera McIntyre, whose husband was one of the builders of the Wilmington, Onslow and East Carolina Railroad, which was incorporated in 1885 and existed until 1893, eventually becoming part of the Atlantic Coast Line Railroad. White Oak River: Early maps show this river as Weetock or Weitock, Jones said – a reflection of a Native American name thought to mean white oak. “You will still see word ‘Weetock’ around occasionally in the area,” he said. This video from Jan. 31, 2015, show the preserved earthworks and bombproof at the Civil War fort on Huggins Island in Onslow County.